The dog world has lost one of its most special members. 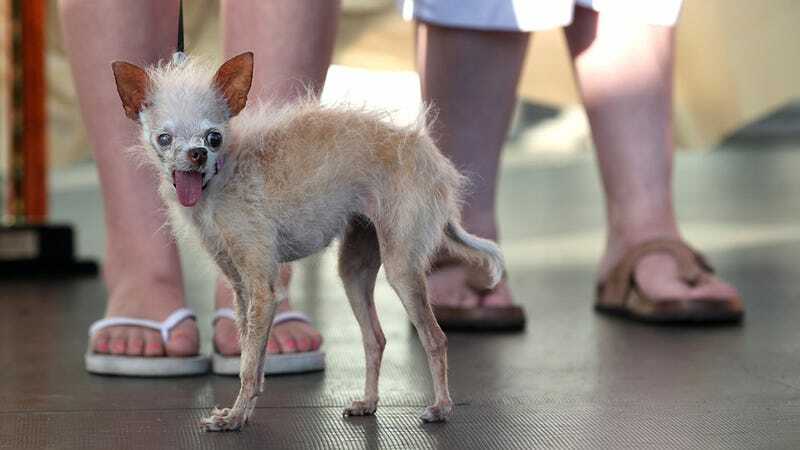 Yoda, the Chinese crested and Chihuahua mix who was proudly crowned the 2011 World's Ugliest Dog, has died in her sleep at the age of 15. Terry Schumacher, her owner, is obviously very sad to lose her small scraggly friend and says she will miss, "her funny little ways." The petite pooch had a hard life until she was discovered abandoned behind an apartment building by Schumacher, who initially mistook the dog for a rat. But once she was in Terry's care things got steadily better for Yoda. She earned worldwide fame, $1,000, and a trophy, which was 15 times her size, when she won the Ugliest Dog contest last June. Even though she's now one of Heaven's ugliest dogs, she'll still hold onto her Earthly title until a new winner is crowned this summer.